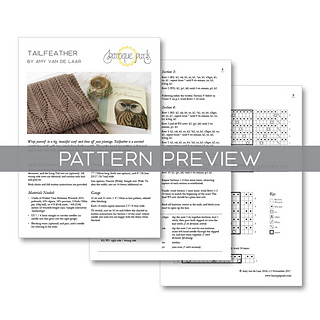 Wrap yourself in a big, beautiful scarf and show off your plumage. 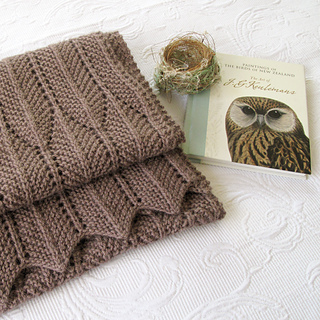 Tailfeather is a unisex lace scarf with long interlocking feather motifs. 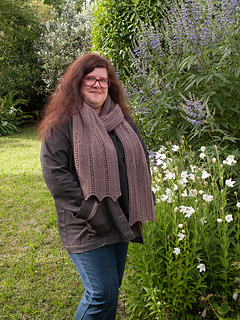 The garter-based lace pattern is fast and easy to knit, and looks great on both sides. 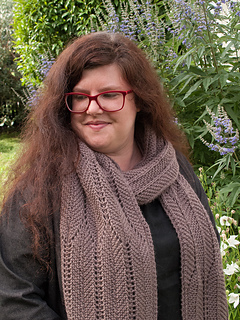 Two width options are given - I chose the widest for extra cosiness! 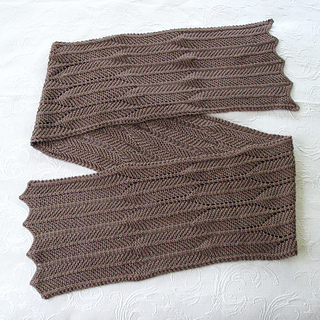 Skills needed include the Long Tail cast on, knit and purl stitches, and simple lace knitting including centred double decreases. 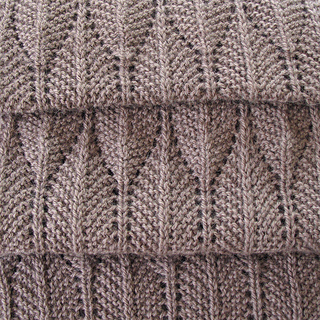 All wrong-side rows are identical, and contain only knit and purl stitches. 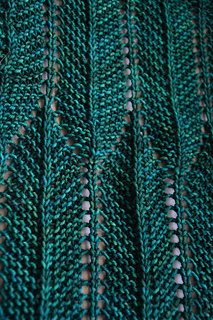 Materials: 3 balls of Outlaw Yarn’s Bohemia Worsted in ‘Ambrotype’ (45% polwarth, 45% alpaca, 10% possum; 219yds/200m per 100g ball), or 470 (610) yards / 430 (558) metres of worsted-weight yarn. 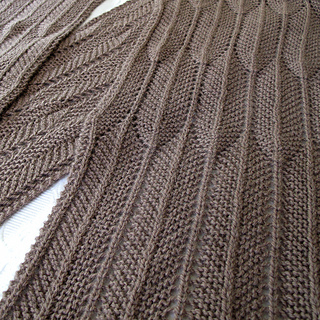 Sizing: Narrow (Wide): 77”/196cm (77”/196cm) long and 8”/20.3cm (10.5”/26.7cm) wide. Shown in Wide version.